After a soggy start to the day, the sun came out so I decided to go up to the RSPB again before the light faded. When I got there, the light looked as though it was going to go but by the time I had walked to the hide, the sun came out again. This photo is SOOC as the light was perfect and the ripples and reflections helped make the image too. Thanks for getting all 3 of yesterday's images on PP and for all your kind comments and Favs. It is always much appreciated. An awesome capture and wonderful detail, fav! Love this!!! 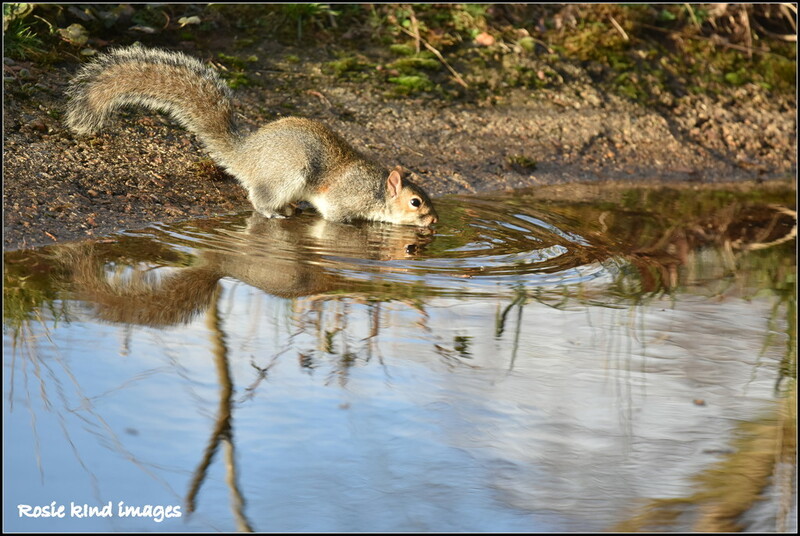 My squirrels lean into the pool for a drink! Very cool to see the way the eyes are so clear in the reflection.